This Bill is different from all the other amendments we have seen. Yvette Cooper and Oliver Letwin again attempt to take control of Parliamentary business for the third time. However, instead of another series of indicative votes, Cooper has presented her own legally binding Bill aimed at forcing the Prime Minister to extend Article 50 and avoid No Deal next Friday (Parliament has published their own explainer here). Last time this was defeated 188 v 283 but wasn’t a whipped vote (Labour merely “encouraged” voting for it . Oliver Letwin takes control of Parliament’s business agenda today to allow for another series of indicative votes. 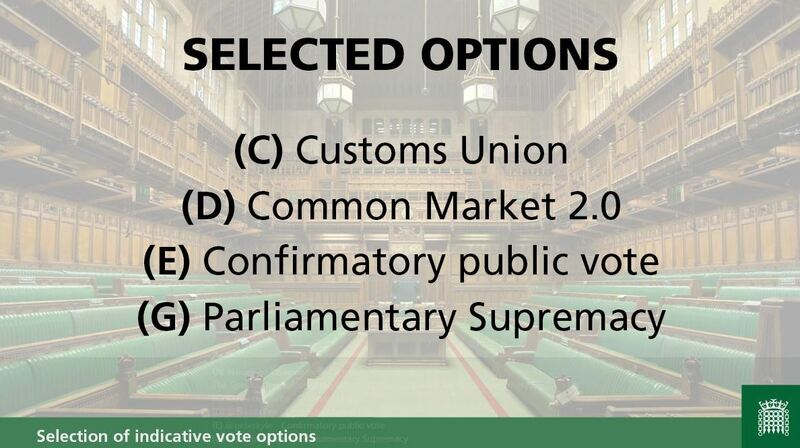 Although these votes are non-binding, should Parliament coalesce around a softer Brexit, PM May may have found a way to get her Brexit deal through.